You want your timeless decor to age well as your family grows and changes. 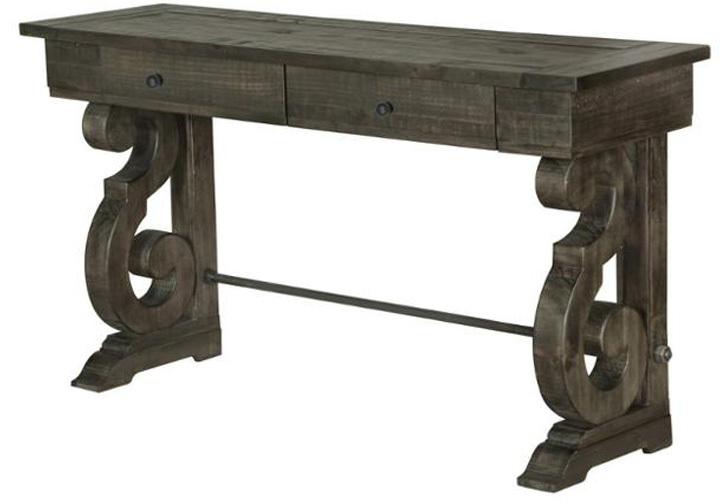 Introduce the Bellamy rectangular sofa table into your home, and you’ll be making an investment in timeless style. 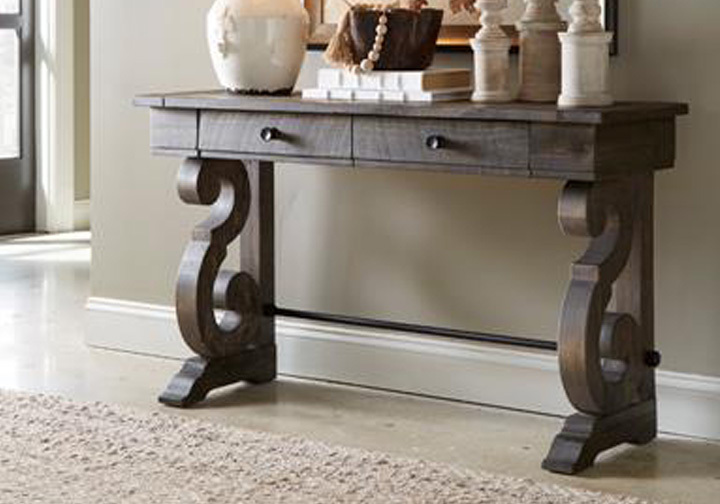 Prominently display elegant and stately design features like the striking double scrolled pedestal, all finished in a hip, eclectic distressed wood finish. The Bellamy occasional series features pine solids and antique brass hardware with a pewter overlay.